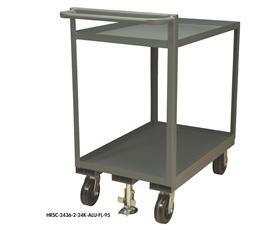 2 Shelf Stock Trucks With Floor Lock | David's Inc. Floor locks keep truck in place when locked. 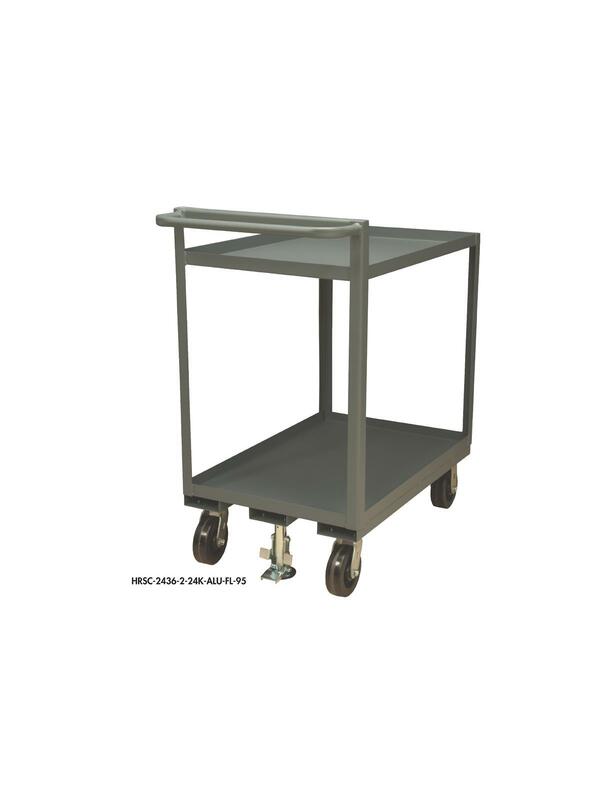 Units have 6 x 2" phenolic casters. 1-1/2" shelf lips up on all shelves prevent lost parts during transportation. FOB Shipping Point. 36 x 24 x 39"36 24 39"